Do you have an area that is hard to reach, or even dangerous to access? 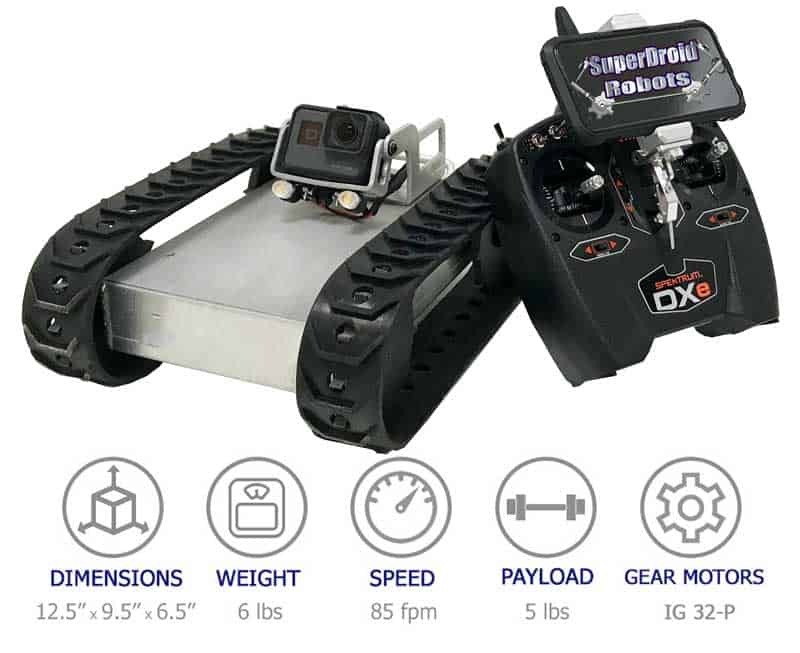 The perfect solution for you could be a durable inspection robot from SuperDroid Robots. All of our inspection robots come with cameras which keep you out of harm’s way. 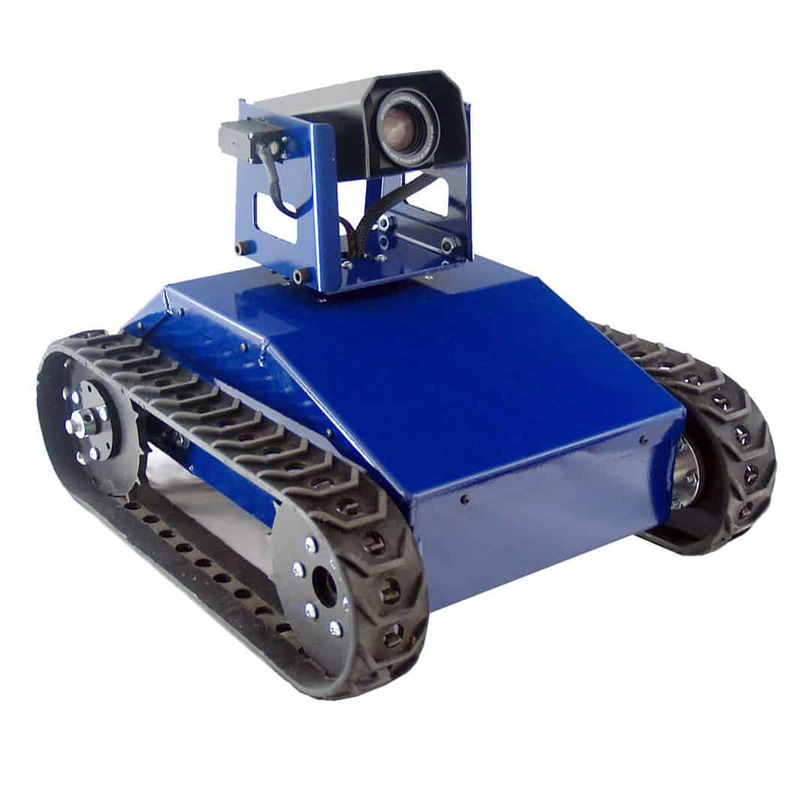 This is a complete inspection robot package, designed for the home inspector. 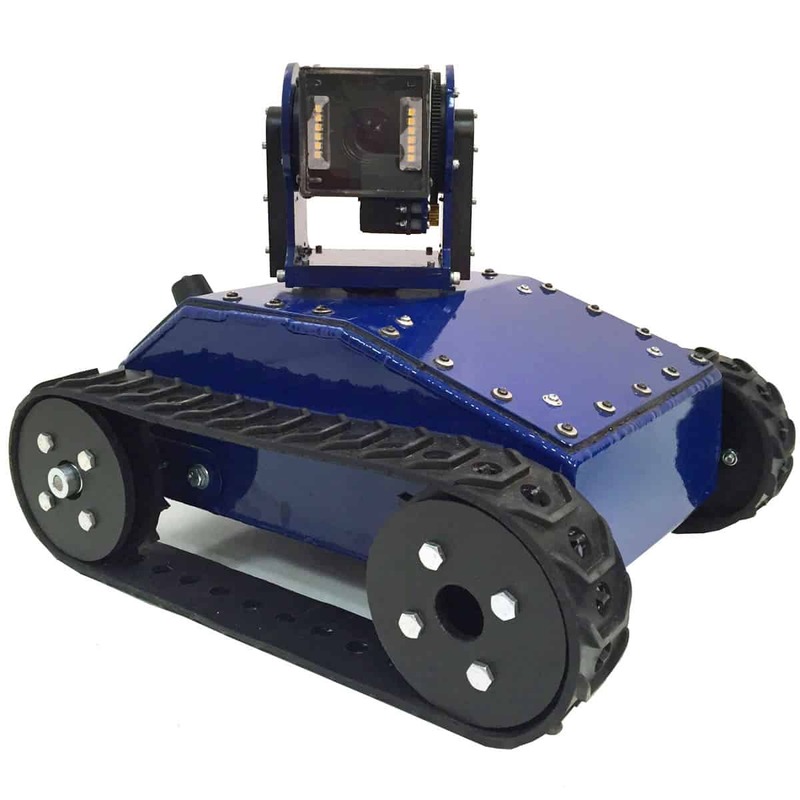 The robot uses a GoPro Camera mounted with a custom actuated tilt bracket. High power LED lights are fixed to the tilt bracket allowing for good visibility in dark places. 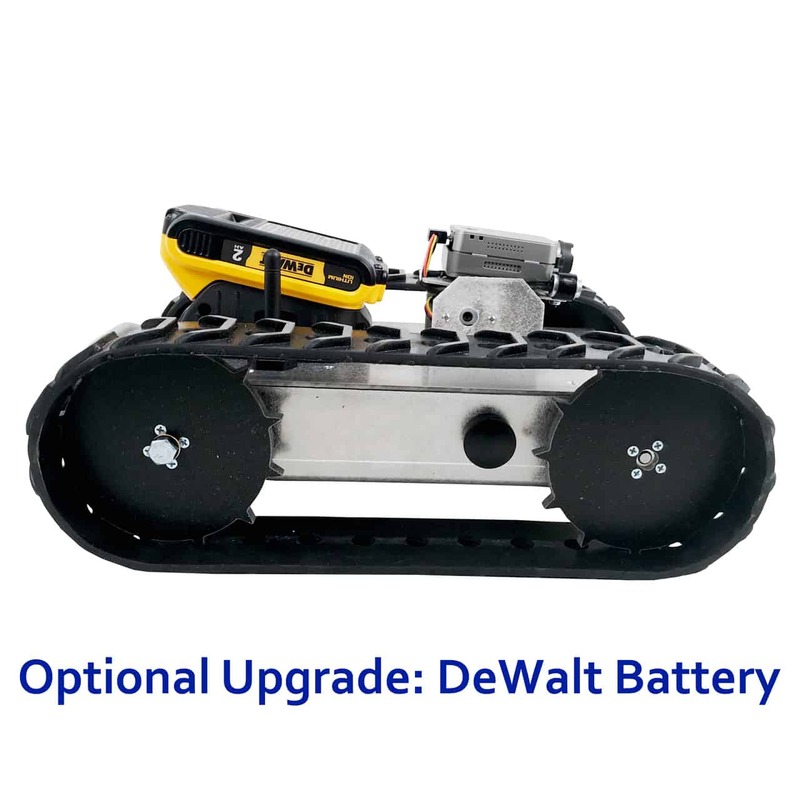 With these features, the low profile mobile robot allows the inspector great coverage and the ability to see in detail in difficult to reach areas. All you need for this is your smartphone, everything else is included. 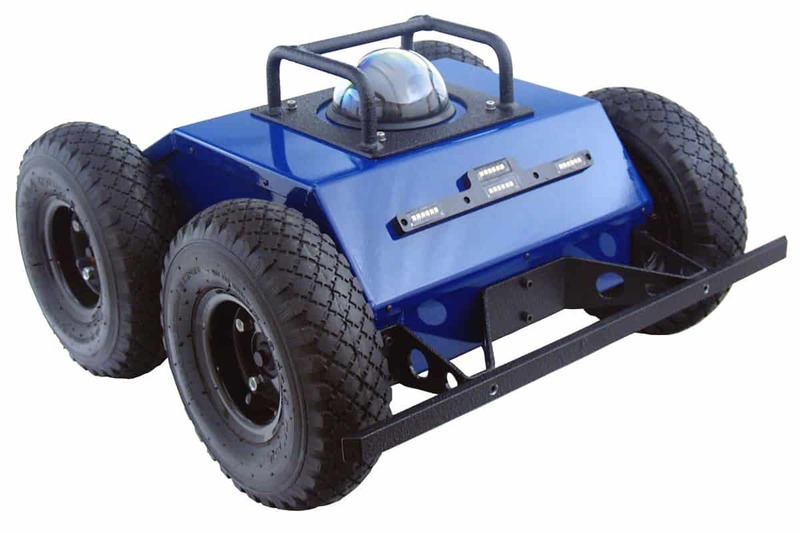 This is an enclosed wheeled All Terrain Robot with a scissor lift and PTZ camera. 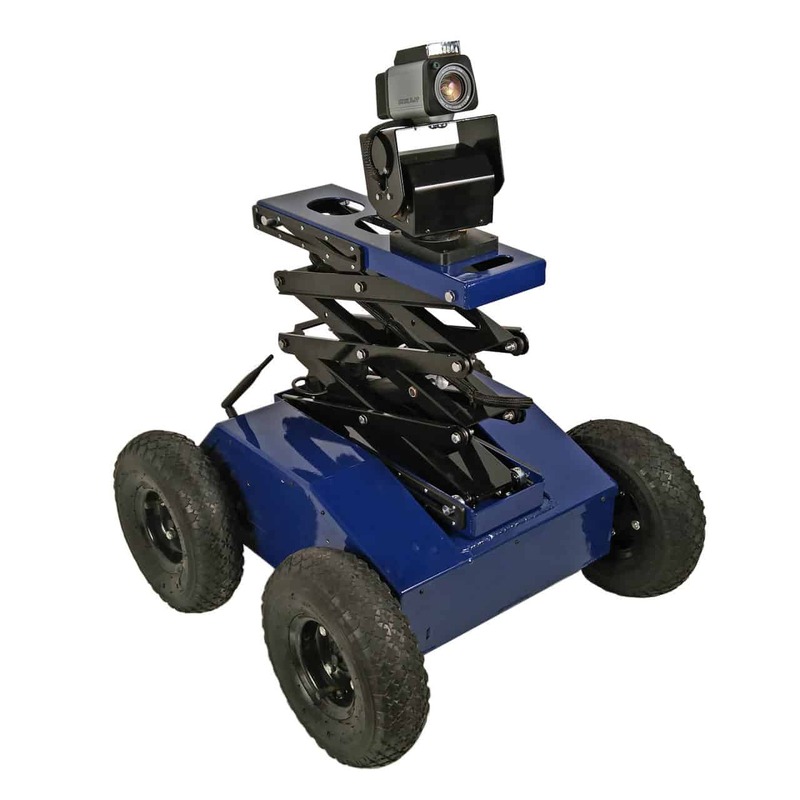 In surveillance or inspection situations, this robot allows you to see where most low profile robots can’t: onto counters, over beds, and through windows. 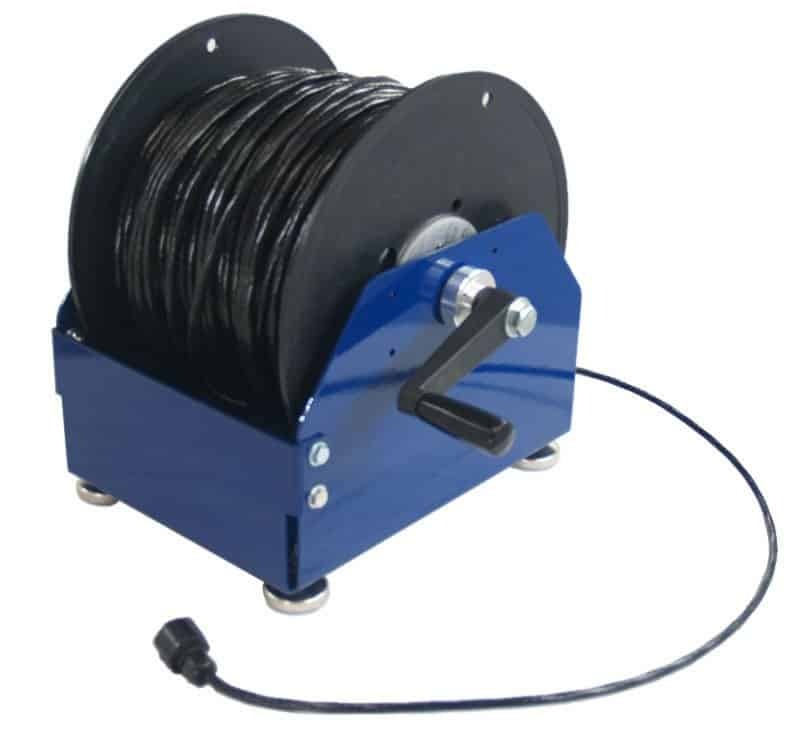 This is a spool of CAT6 cable with slip ring for tethered control systems. It’s used for Ethernet control or RS485 and analog video. 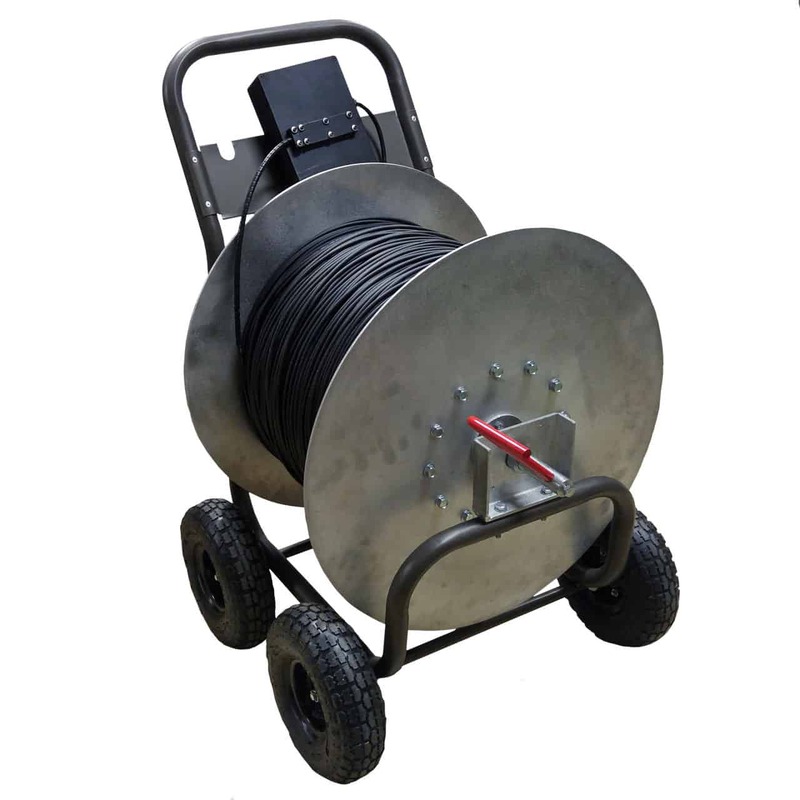 Every one of our inspection robots are rugged pieces of equipment with quality built in. If you find yourself in need of an inspection robot to help you do your work, then contact SuperDroid Robots to get the ball rolling!